The challenge: "Dictionary.com defines a pet peeve as, "a particular and often continual annoyance; personal bugbear, something about which one frequently complains; a particular personal vexation." Could be fun to research pet peeves while in the studio! 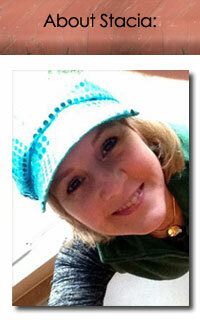 What's your pet peeve and why?" Upon first view one might think my pet peeve is the dirt and grime on my presser foot and needle bar! But, alas, I didn't even notice THAT until after I uploaded the picture. Guess I need to clean and oil my machine...I can't even remember when I did that last. Sewing machine abuse! Since I've been focusing on textiles these past few months, I thought I'd give the low down on my pet peeves while sewing. I have many, but will mention only a few. 1.) Threads and scraps HAVE to go in the garbage right away. I can't stand trash piles. It distracts me (see #7 here). 2.) Having to use my seam ripper. Sometimes I even amaze myself at the stupid mistakes I make since I've been sewing most of my life. 3.) For some reason I NEVER pull enough thread back after making a seam and cutting the thread. 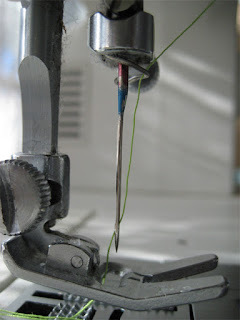 When I go back to make another seam, the thread take-up lever pulls the thread out of the needle. Just thinking about that annoys me!